Google has a new cell phone plan, should you get it? Google has unveiled the details of its new cell phone plan, Google Fi. It operates differently than any other plan on the market and has some unique features. It will be a great deal for some users, but probably won't appeal to everyone and is only available on one device to start. Read on to get the details and see if it's for you. The plan operates a bit differently than any other plan available. You pay $20 for unlimited calling and texting, and an additional $10 for every 1GB of data plus taxes and fees. However, you're automatically refunded for any data you don't use and if you go over you're only charged what you use at the same $10/1GB rate. For example, you would get a refund of $5 if you didn't use 500MB of data. It also includes calling and 3G data in 120 foreign countries, similar to T-Mobile's plans. The plan also has some nice features to keep data use to a minimum. The phone will automatically use wifi whenever it is available for calling and texting, and will automatically transition between cellular and wifi if you leave the house or office. Your phone number will also be integrated with Google Hangouts so you can get your calls and texts your other devices that have Hangouts installed, including iPhones, tablets, and computers. All of the features require some custom software, and aren't available on any phone. Currently, the plan only works with the Nexus 6, and no other phones will be supported during the invite only early access phase of the program. The Nexus 6 is available from Google starting at $650 or $27 per month. 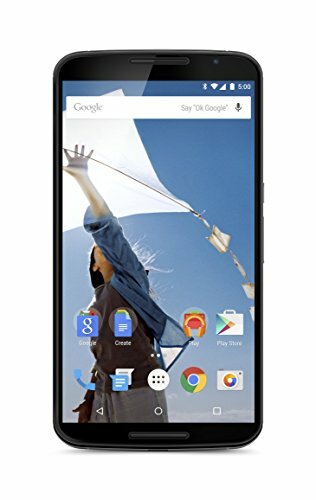 The Nexus 6 can usually be found a bit cheaper on Amazon. Google Fi runs on both T-Mobile and Sprint, depending on which network has a stronger signal. See the coverage map here. The Verge also made a nice graphic comparing it to AT&T's coverage. Combining two weaker networks does provide better coverage, but it's still noticeably behind AT&T or Verizon, especially in more rural areas. People that live in major metro areas may not notice, though. This plan has the potential to drastically reduce bills for people that are on wifi for most of the day at home and work/school. However, it isn't a better value than my current pick for best cell phone plan, which offers 3GB of data for $35 per month of AT&T's LTE network. The plan does offer some unique features, though. If you have bad coverage at home or work this plan would enable you to make and receive calls and texts over wifi. It's also nice to get calls and texts on any device. As a former Google Voice and current iMessage user, I can attest to this. However, there are free calling and texting apps for this purpose that run on any phone. It's also hard to recommend Google Fi when it only works on one (very large) phone, good as it may be. Get more info on Google Fi and sign up for an invite to the service.